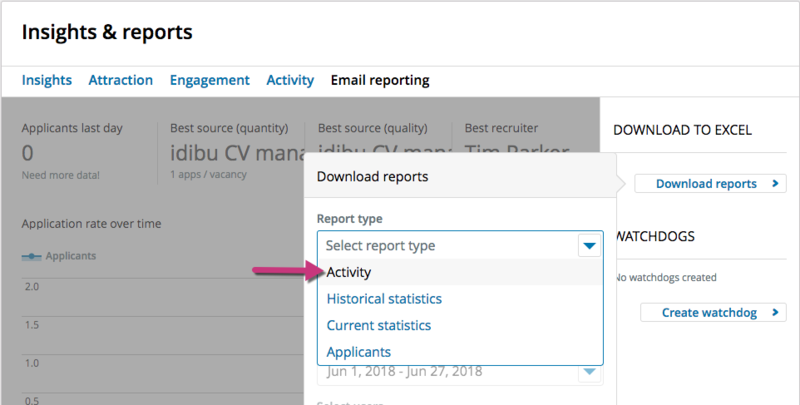 We know that sometimes you'll want to download reports in a CSV/excel format so you can really crunch some data, or forward on within the business. Within idibu we have an extensive range of reports you can download by emailing them to yourself or a colleague. You can even set these up as watchdogs, so they are automatically emailed to you at the frequency of your choosing. We've detailed below how to access the reporting and generate both the reports and watchdogs. Want more detail re the reports available? 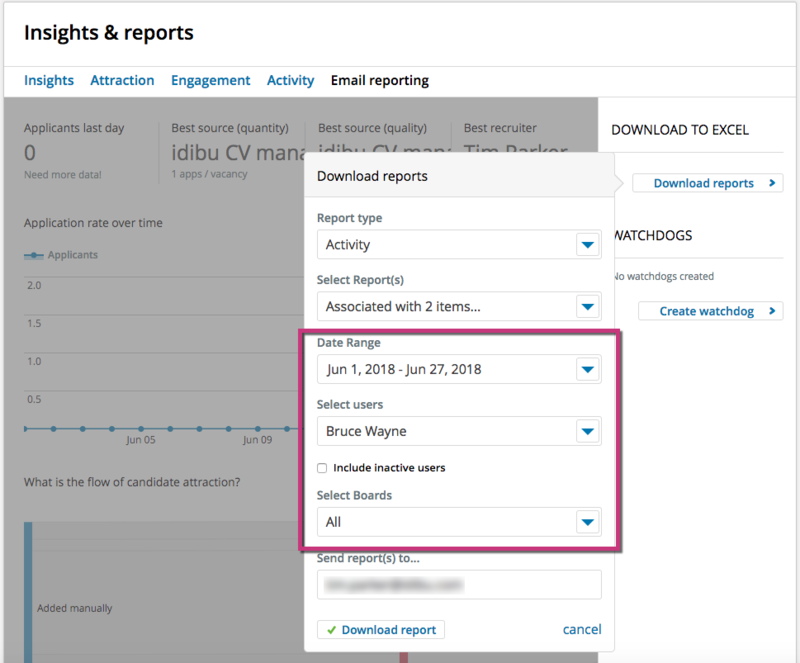 Click this link for a full breakdown of each report plus a downloadable example! Can't access the reports area? - Contact your company's idibu account administrator to discuss further. 2. 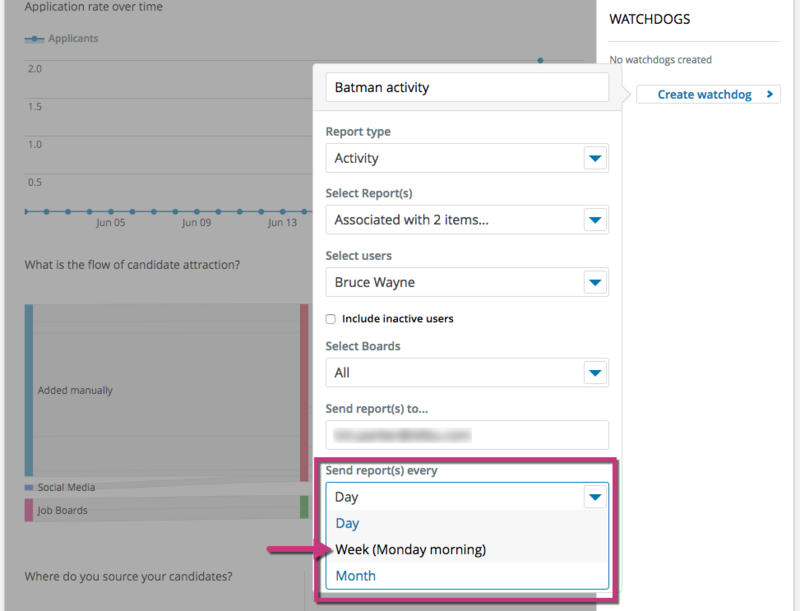 Name your watchdog in the field at the top, then follow the same steps as above with each of the drop downs. Remember, this in depth article has full details regarding each report available, plus samples available to download. Top tip! Want to see a breakdown of activity by ATS stage? 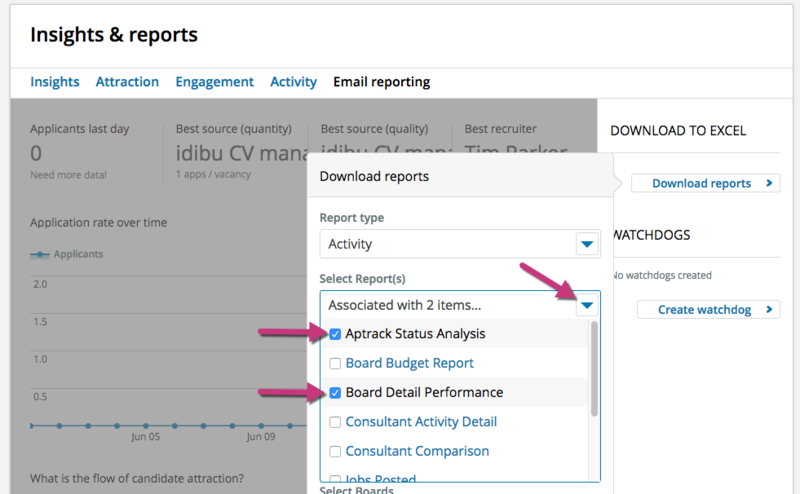 Download the 'Aptrack Status Analysis' report from within the 'Activity' selection.